Today, a bunch of my blogging friends are all whipping up delicious cupcake recipes to kick your December off to a sweet start! 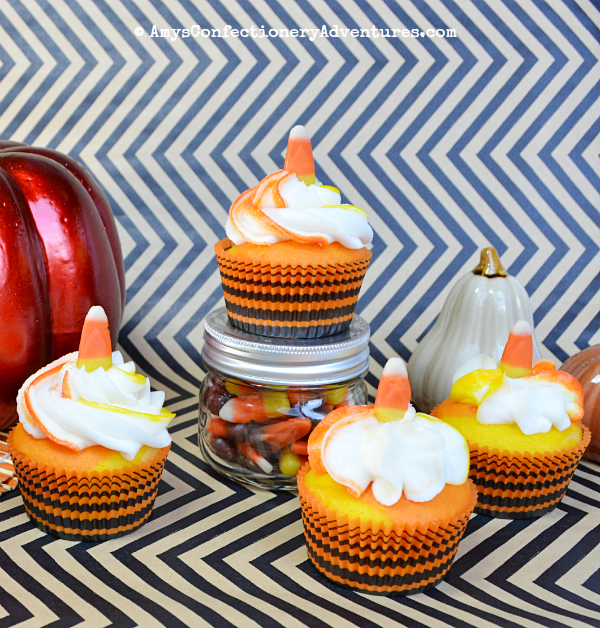 I thought about making some festive cupcakes, like my favorite Candy Cane Cupcakes or Snow Globe Cupcakes, but in the end, I went completely away from Christmas and raided the kids’ leftover Halloween candy to make these cupcakes instead. I had enough batter leftover from another baking project to make 8 cupcakes, so I took 2 tiny boxes of nerds (about 2 tablespoons worth) and mixed it into the leftover vanilla batter. Once I frosted and tasted them, I really wished I’d make a whole batch because they were amazing! The nerds inside the cupcakes with delicious little pockets of tartness! So yummy! 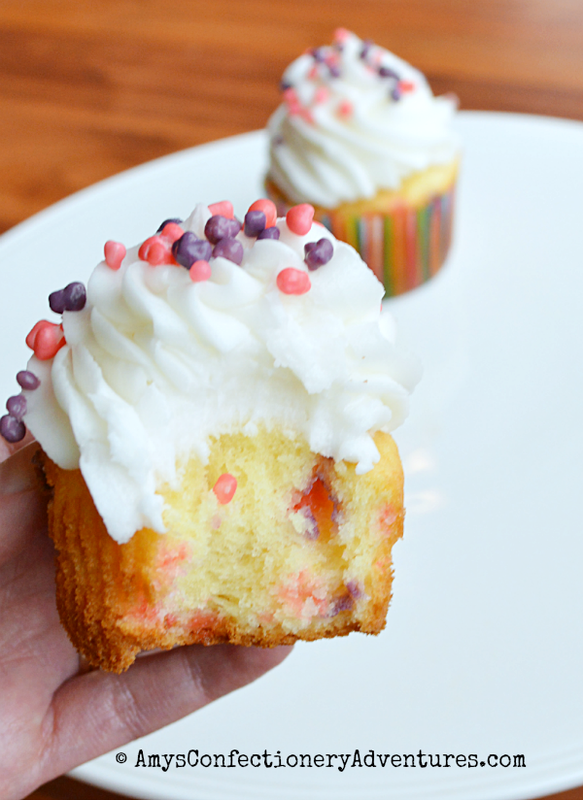 Don’t forget to take a peek through the rest of the amazing Cupcake Day recipes below! Preheat the oven to 350 degrees F and prepare muffin tins with paper liners. Prepare the Vanilla Cupcake batter as directed, then stir in the Nerds. Pour into the prepared liners and bake for 22-25 minutes or until a toothpick inserted into the center of the cupcakes comes out clean. Cool completely. 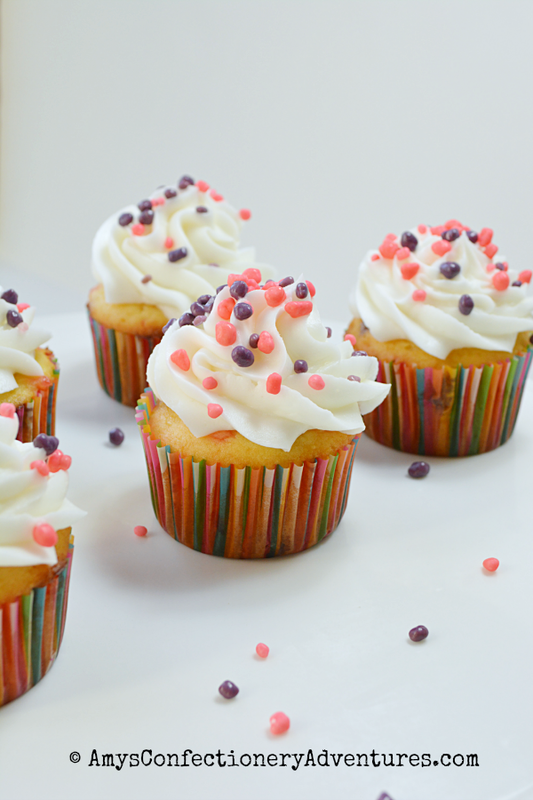 Use a Wilton 1M decorating tip to swirl the frosting onto the cupcakes. Sprinkle immediately with additional Nerds. 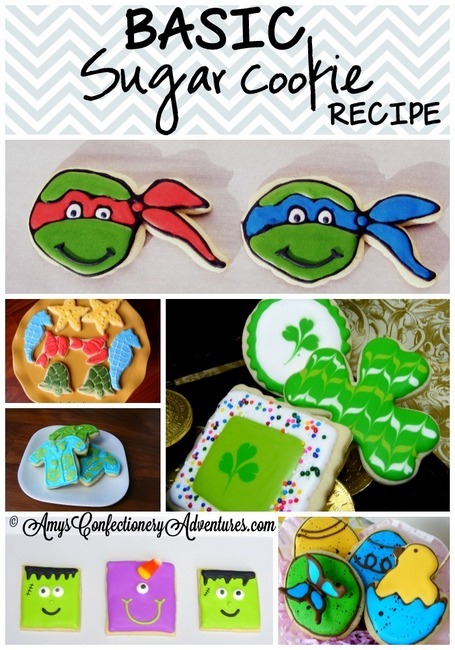 Don't forget to check out these amazing recipes! OMG! I love Nerds candy, and I haven't had them in forever! What an awesome idea! 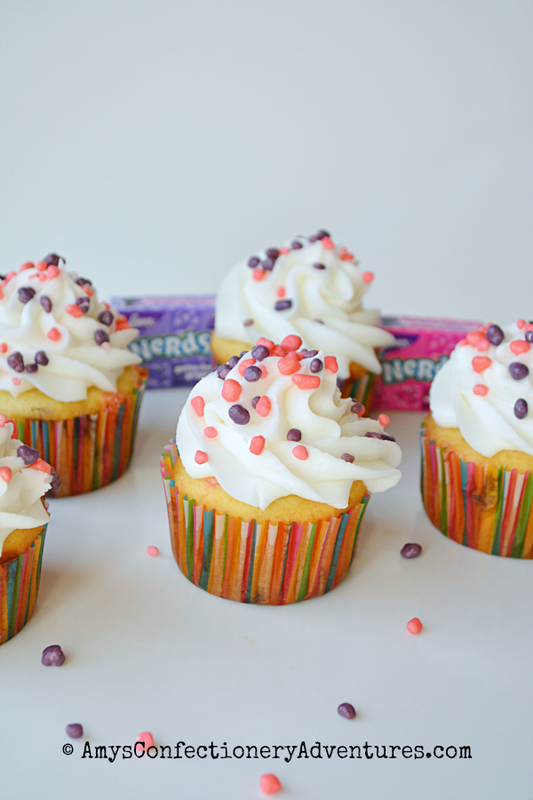 I couldn't wait to see where you were going with your NERDS Cupcakes. These are super cute. I know some kids who will love them. Hi Amy. I couldn't wait to see where you were headed with your Nerds Cupcakes. These are super cute. I know a couple kids who would LOVE these!! How cute!! These looks adorable. Thanks for sharing with #CupcakeDay. Love that you used Nerds, awesome! SO creative! 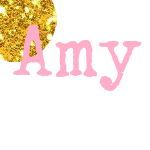 Great idea Amy! How cute are these!! "little pockets of tartness" and so adorable. I love the Nerds on the cupcakes- so fun! Okay, Nerds + cupcakes = amazing. These would be perfect for a birthday party.